For personal accounts, notification emails are automatically sent to your default notification email. 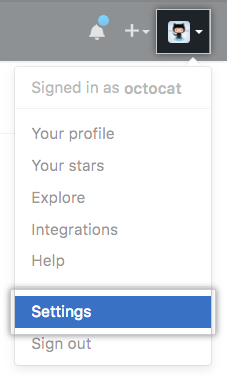 In the user settings sidebar, click Notifications. Selecting Email sends an email to your default notification email. Selecting Web allows you to access the notifications on your GitHub Enterprise instance. Select Comments on Issues and Pull Requests to receive an email when someone makes a comment in an issue or in the "Conversation" tab of a pull request. Select Pull request reviews to receive an email when someone makes a review comment in the "Files changed" tab of a pull request. Select Pull request pushes to receive an email when someone adds commits to a pull request that you're subscribed to. Select Include your own updates to receive an email when you open, comment on, or close an issue or pull request.